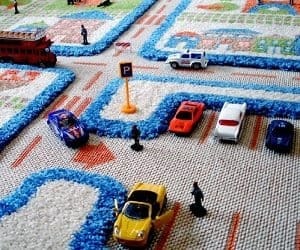 Let your kids' imaginations run wild with this awesome 3D play rug! It's perfect for their bedrooms or playrooms and will keep them entertained for hours. Made from hypo-allergenic, non-flammable material. Simply grab some toys and get creative!